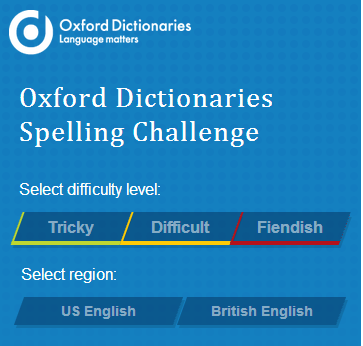 Test your spelling skills with our interactive spelling challenge. Simply listen to the word and type in the correct spelling. With levels ranging from tricky to fiendish, there is something to test everyone. Do you know how to use apostrophes correctly? 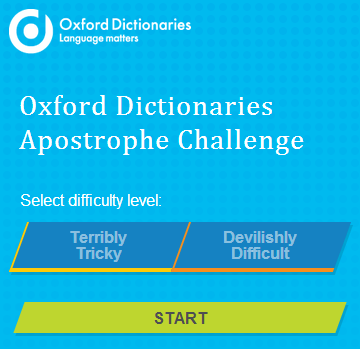 With two levels of difficulty, our interactive Apostrophe Challenge game will test your spelling skills and knowledge of correct apostrophe usage. Looking for more quizzes and competitions? Look no further than the OxfordWords blog where you can find a growing number of interactive quizzes and features.